Metabolism refers to the physical and chemical processes that synthesize energy. These chemical reactions take place within the cells with help from enzymes and hormones. This process converts food and oxygen to the energy needed to run the body. Increasing the metabolism increases energy and enables weight loss. Everyone’s metabolism is different and this is largely determined by genetics. Your metabolism is also influenced by your age, and starts to slow down once you get to around 40. Even so, there are lifestyle and dietary choices that can increase everyone’s metabolism. Exercise metabolism is the regulation of metabolic processes during exercise. The rate depends on the energy available to the skeletal muscles. The muscles store ATP (adenosine triphosphates) and burn it when the muscle is in use. The body provides the correct amount of ATP that each muscle needs. When you exercise, you increase the need for ATP, which in turn creates more conversion of food to ATP for the muscles to use. This is why the best way to increase metabolism and lose weight is by adding exercise, especially weight training, to your daily regime. In reality, all foods are fat-burning, because as soon as you begin the process of digestion, your metabolism increases, especially during the first hour after eating. However, some foods require more energy to digest. Protein is one of these foods, so adding high protein snacks and foods to your diet can help boost your metabolic rate. Each 100 calories of protein takes 30 calories to digest. Eggs have been shown to particularly help with fat burning. 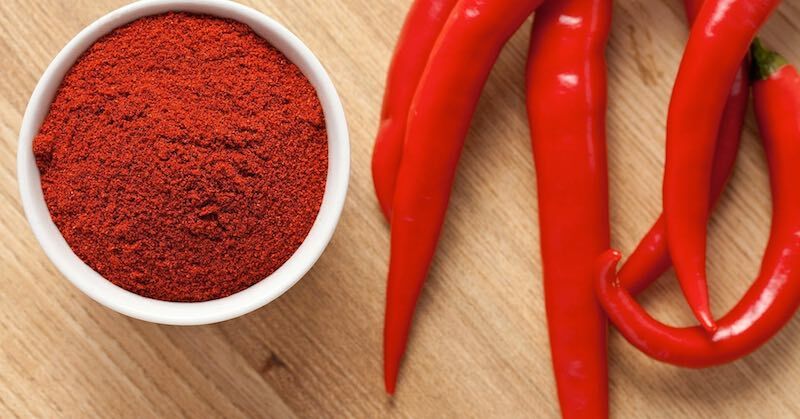 A study in the Medicine & Science in Sports & Exercise, found that red pepper (cayenne) added to high carbohydrate meals enhanced fat metabolism by altering the balance of lipolytic hormones and promoting fat oxidation in skeletal muscle. Some suggest that half a teaspoon of cinnamon boosts metabolism as well. Other spices that increase metabolism include ginger, turmeric, black pepper, and mustard seed. Read more about adding spices in your diet for health. A similar function has been claimed for green tea. The active ingredient is an antioxidant called EGCG (epigallocatechin gallate), which acts in the same manner as cayenne pepper. Three or four cups of green tea are needed to get the recommended amount of EGCG, 270-300 mg a day. Adding caffeine to EGCG has also shown to improve metabolism and encourage weight loss. The recommended doses are 270 mg of EGCG and 150 mg of caffeine. Read more about matcha tea and green tea.